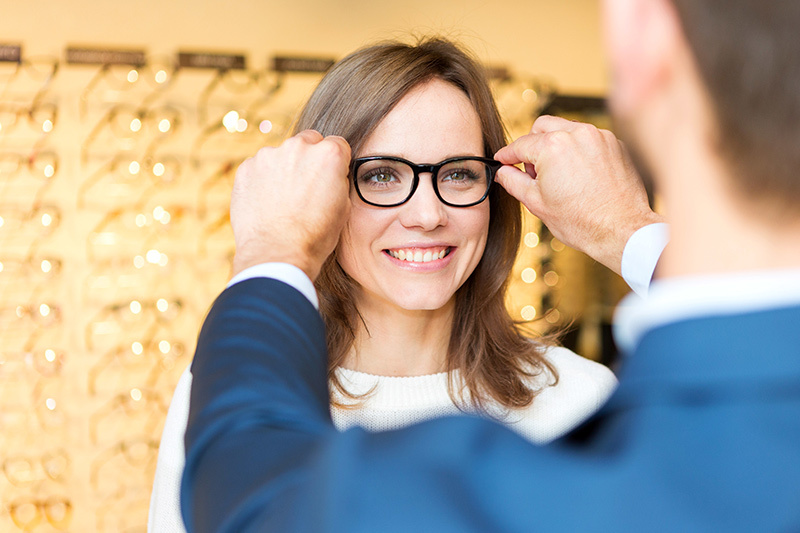 Opticians not only stock quality frames, but will work with you to find the perfect frame for your style and needs. When you order online, you likely won’t be able to discover a loose hinge or faulty temple before you receive your eyewear. Opticians are trained and certified to ensure proper fit and quality of your eyewear. Opticians can adjust your eyewear to sit perfectly on your face, which also means that you will be looking through your lenses at the optimal position for the best vision possible. Opticians can also verify that the lenses match the doctor’s prescription, and address any issues immediately. Not all eyeglasses are made the same. An optician offers digitally surfaced lenses. Instead of the traditional method of grinding lenses to the closest measurement, your exact prescription is mapped onto the lens, reducing distortion and giving you the best sight possible. Your pupillary distance (PD) measurement is the distance measured in millimeters between the centers of the pupils of the eyes. This measurement varies from person to person and also depends on whether you are looking at near objects or far away. PD measurement by an optician helps to ensure that the lenses will be located in the optimal position. Ordering glasses online can be a potential problem if the PD measurement is not accurate. Correct measurement is also very important when it comes to progressive or bifocal lenses. The OC (ocular center) height must be measured to ensure accuracy in prescription and this measurement is specific to each patient, as well as each pair of glasses. Eliminate the guesswork that comes with ordering online. Experience the technology, accuracy and quality that our optical provides.